Every resort at Walt Disney World offers daily resort activities for guests. I’d argue that Animal Kingdom Lodge offers the widest array of resort activities and the best options for kids of any Disney resort. This fall my family stayed five nights at Animal Kingdom Lodge and only went to the theme parks one day, so we had lots of time to explore the resort and try out the many offerings! The best part of these activities (to a cheapskate like me, at least) is that they are all free! I’ll describe the Animal Kingdom Lodge resort activities we participated in below, with lots of pictures and details of our favorites. 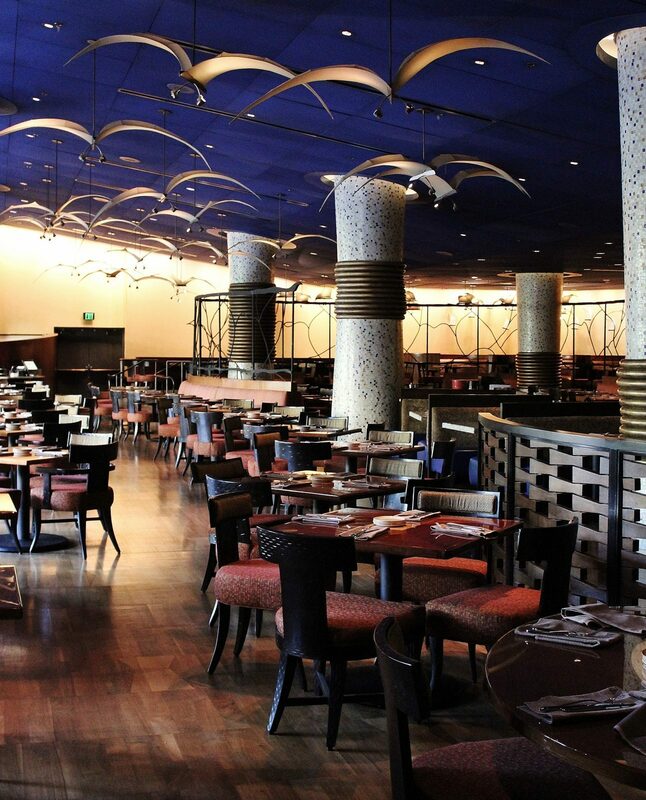 The cast members who led our tour explained the how the design elements in the restaurants symbolically represent African culture and nature. For example, in Jiko you’ll find the shape of wheat stalks in the flooring which represent an abundant harvest in Africa. I was (once again) bowled over by the thought that goes into every single detail at Walt Disney World! 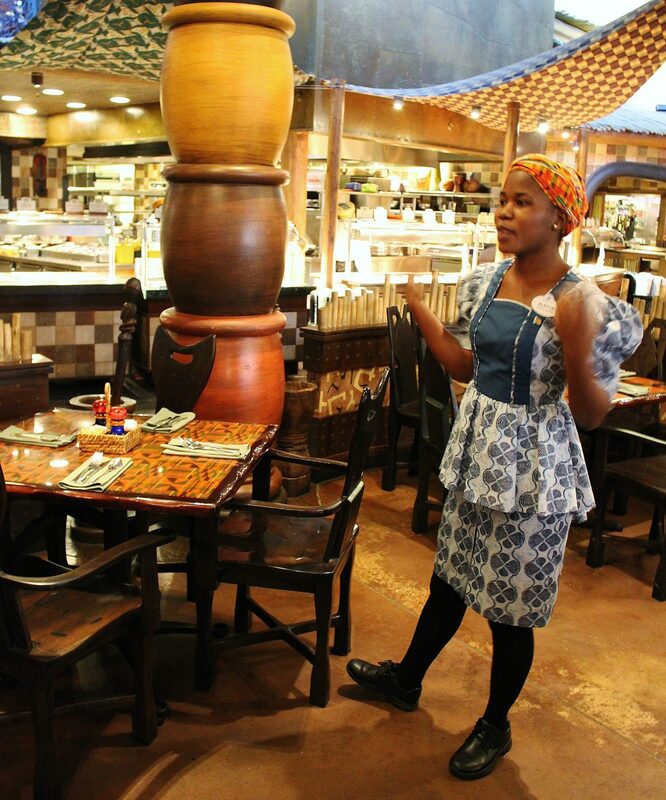 Aletta from Namibia led our tour of Boma, and here she is explaining how people from her country use the pots that inspired the columns in the restaurant. In addition to learning about the design of the restaurants, you’ll get to learn about their culinary offerings – and even taste some! At Jiko, we were offered a sample of the bread and dips from the Taste of Africa appetizer. At Boma, we got to sample some soup (ours was an amazing African peanut soup) and their signature dessert, the Zebra Dome. The tour lasts 45 minutes and there’s need to register ahead of time – just arrive in the Jiko bar area by 4:15 pm. The restaurant tour is open to any Walt Disney World guest, so you don’t even need to be staying at Animal Kingdom Lodge to participate! 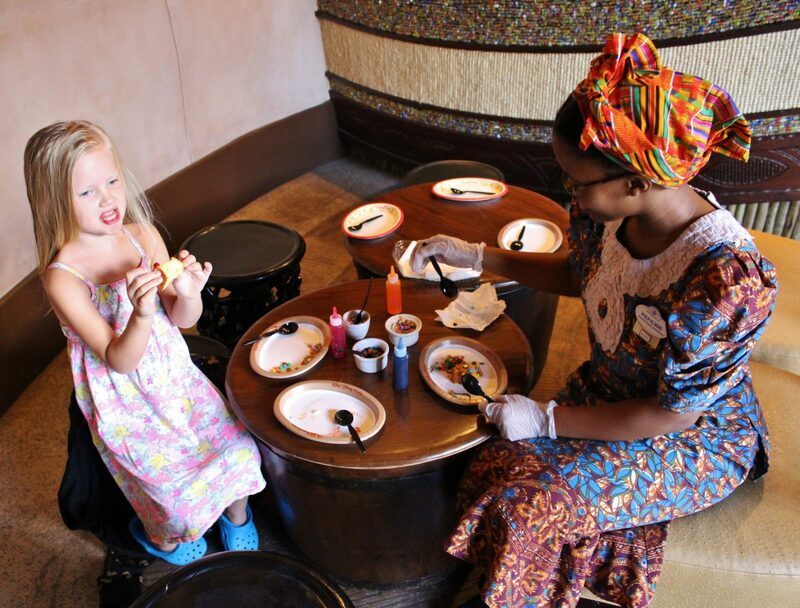 Every day from 2:00 – 3:00 pm kids can get their face painted in traditional African fashion by a Cultural Representative. This takes place in the patio area outside of the Mara, the quick service restaurant at Jambo House, or inside the Mara if the weather isn’t great. Phumalane decorated my daughter’s face in the style of an African princess on her wedding day. Can you tell she loves to have her picture taken? 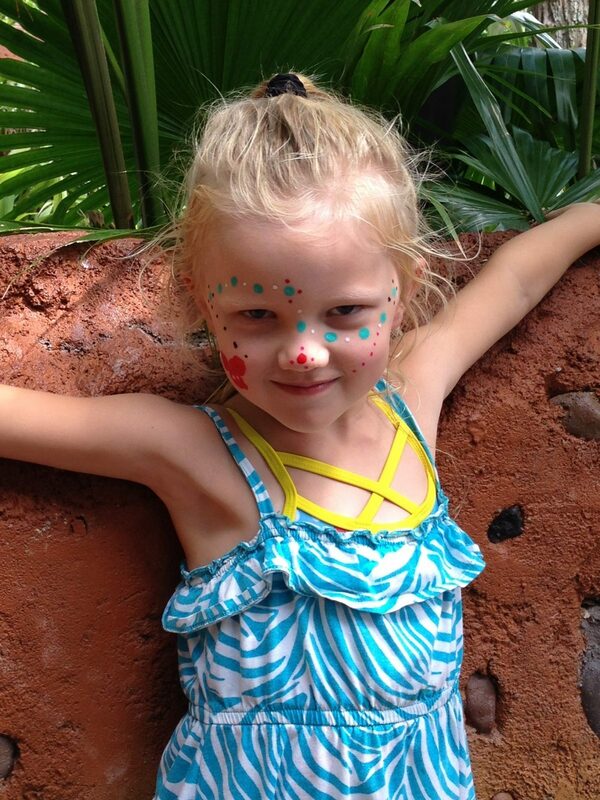 Considering that face painting in the theme parks costs at least $15, this activity offers great value! The activity my little one was most excited about was cookie decorating, of course. 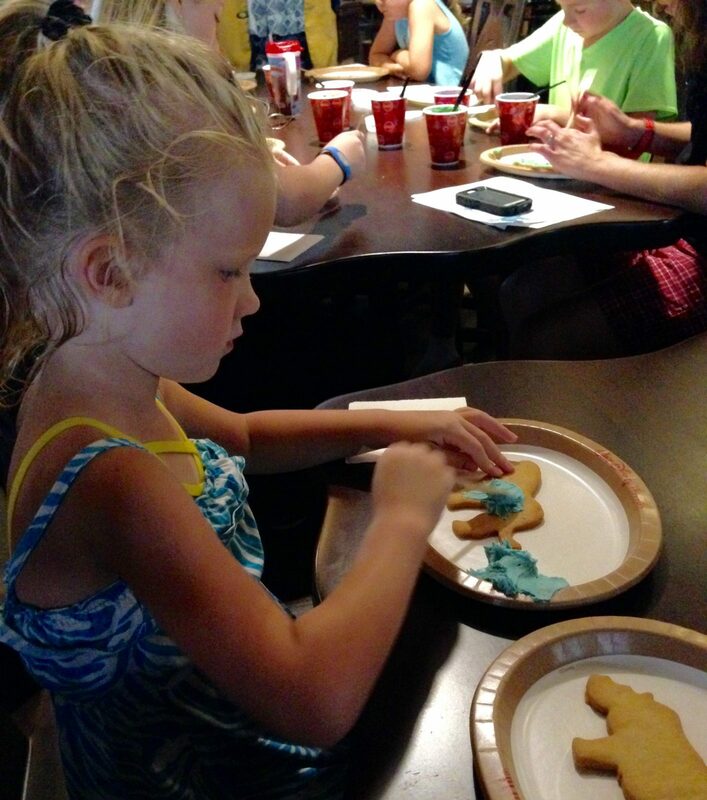 Every day from 1:30 to 2:00 pm kids and their grown-ups can decorate African wildlife-shaped cookies at tables inside of Boma. 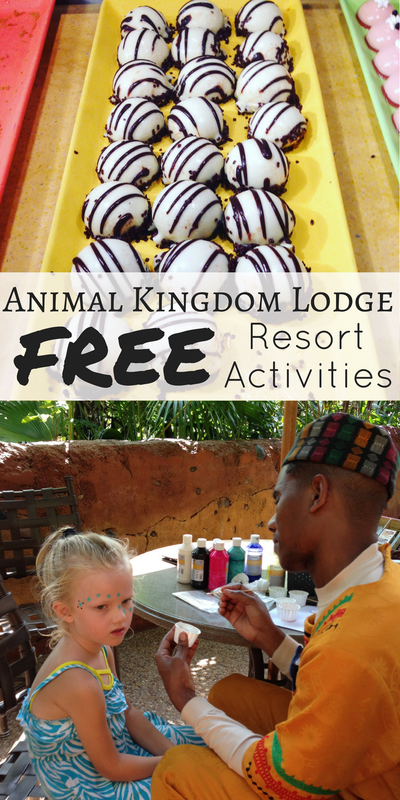 There’s no need to register for this activity and you don’t have to be a guest at Animal Kingdom Lodge to participate. I have read on other sites that you do need a kiddo with you, but I couldn’t confirm that because I went with my daughter. Here is her adorable lion with a gummy bear collar. 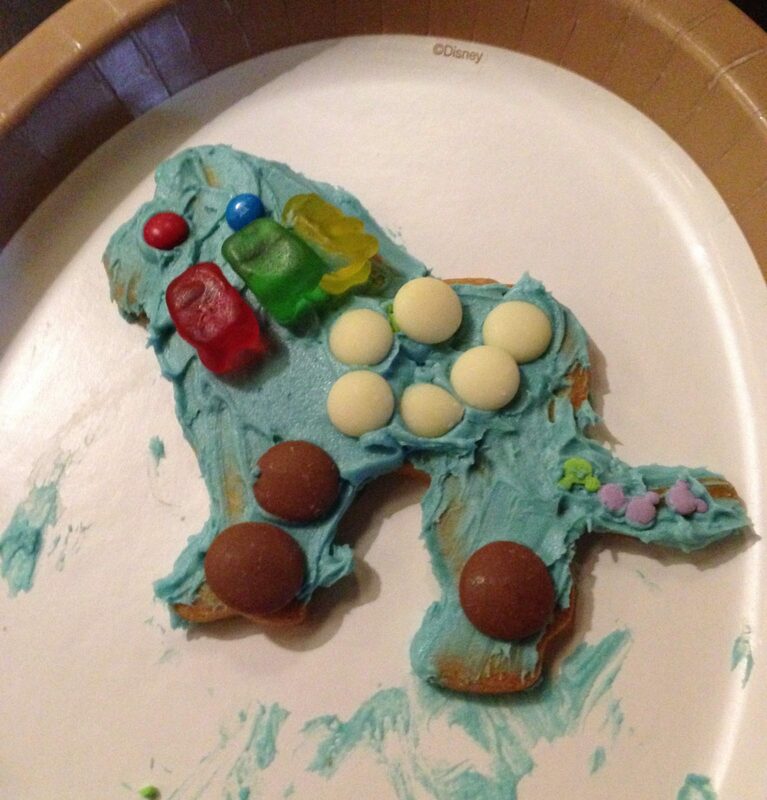 I decorated a cookie, too, but I ate mine before I could get a picture. Oops! 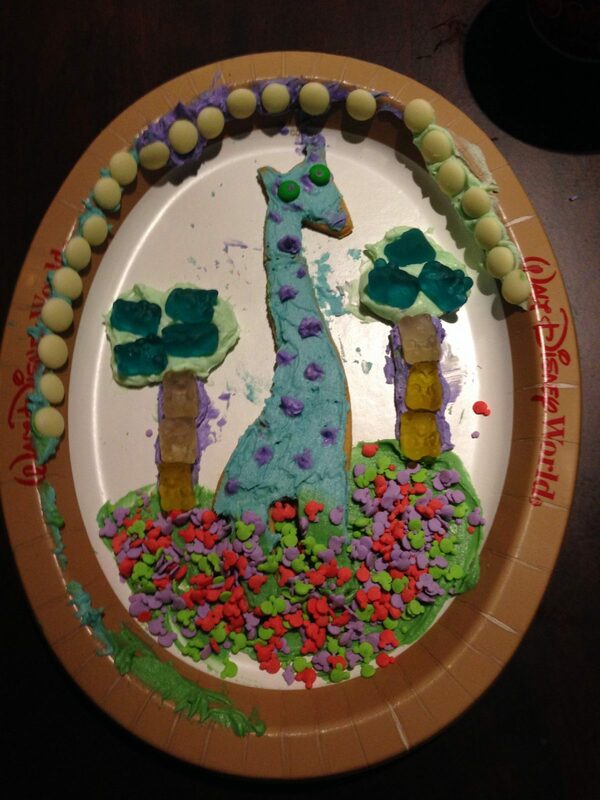 Another girl made this giraffe scene and she was kind enough to let me take a picture. It is amazing to me that there is no cost to participate in this activity. The best part of the cookie decorating was chatting with the two Cultural Representatives who led it while we decorated. 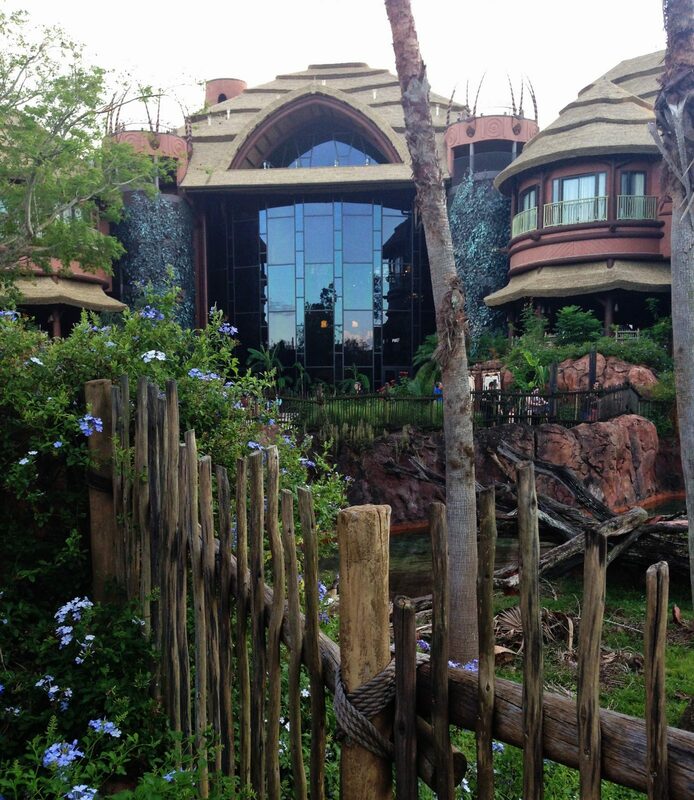 I learned so much about life in Africa and how they came to be working at Animal Kingdom Lodge. 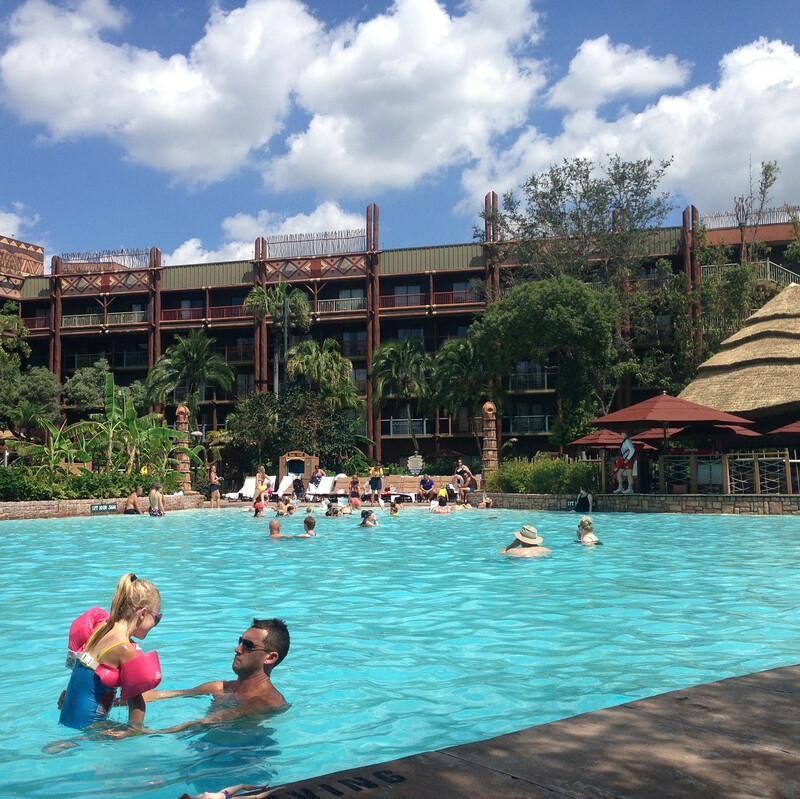 We spend lots of time at the pool during our stays at Animal Kingdom Lodge (check out my full review of the resort in this post). Our little one loves the water, and she is finally getting old enough to participate in some of the fun poolside recreation activities! Every day from 1:00 pm to 5:00 pm, Cast Members lead games and activities at both Animal Kingdom Lodge pools. They change daily and include everything from hula hooping contests to Name That Disney Tune. Kids can win free prizes (usually beach balls and other water toys) when they participate. My four-year-old daughter played water balloon games and a critter roundup, and we played Bingo together. You can see more examples of the poolside activities on the sample September Recreation Calendar here. 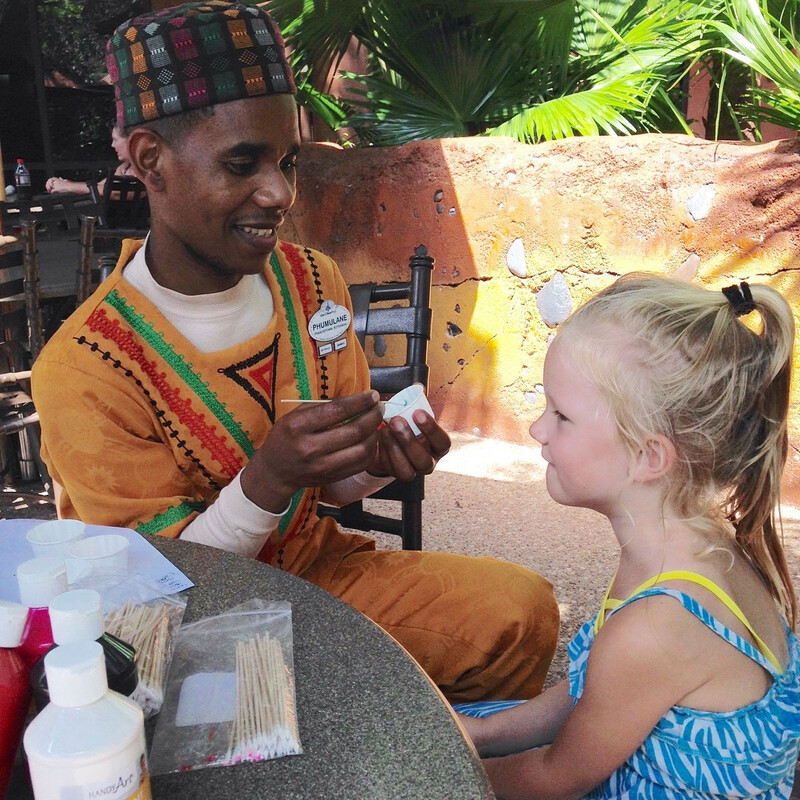 Every day at 3:30 in front of Sanaa (at Kidani Village) kids can decorate their own animal-shaped mini cake with help from Cultural Representatives. 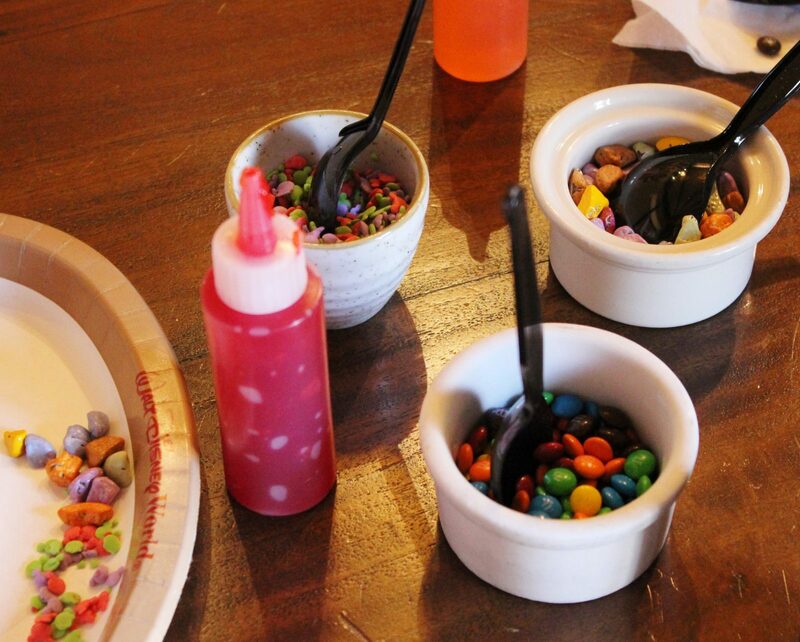 We were the only people decorating cakes that day so we had our choice of cakes and toppings! 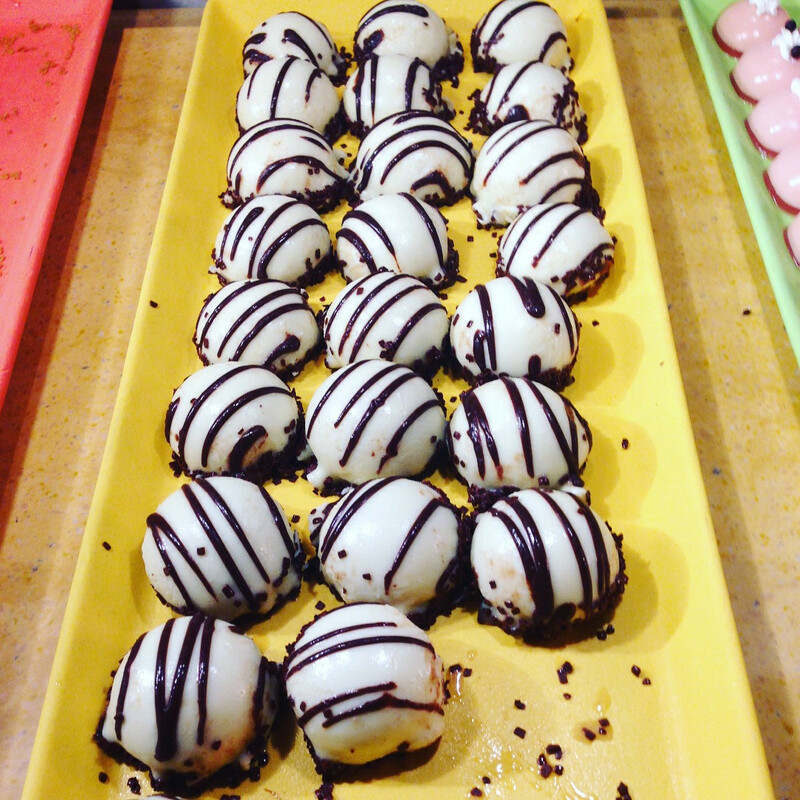 Those little candy rocks were incredibly good. 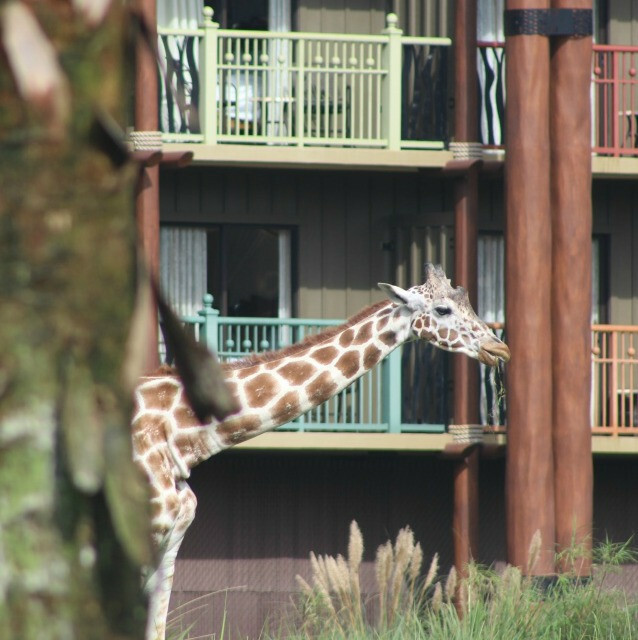 Last but not least is the activity that makes Animal Kingdom Lodge such a unique place – viewing the animals that make the savanna their home. Here are some pictures I have taken on various trips to the Lodge over the years. All of them were taken from the public viewing areas. 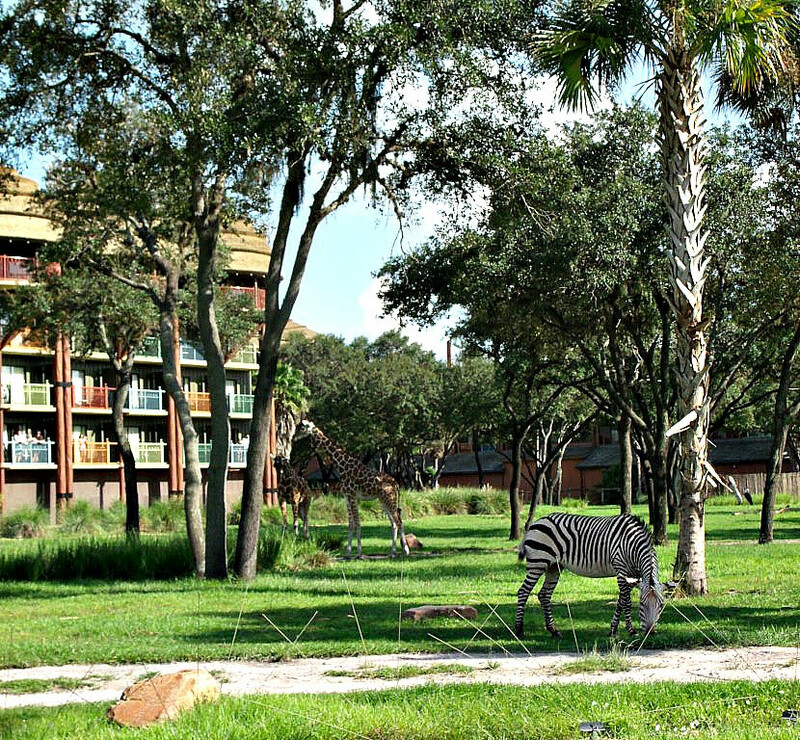 I personally think the wildlife viewing and photography opportunities are better at Kidani Village than Jambo House. The animals seem to be closer and more active there in my experience. For a few hours after sundown, you can view the animals with night vision goggles at either overlook. I’ve never tried this but it sounds like something older kids would really get a kick out of! 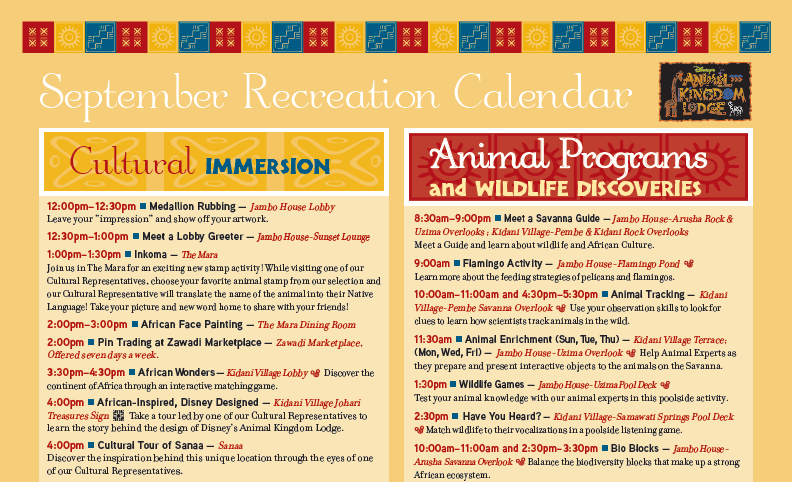 The activities I highlighted in this post are just a small sampling of what’s offered at Animal Kingdom Lodge. There’s also free (unlimited!) marshmallows to roast at the nightly campfire, educational wildlife activities, and more. Most activities are free, and there are plenty geared towards adults if you are visiting without little ones in tow. For me, the highlight of participating in these activities was the connection we made with Cultural Representatives. The activities gave us a chance to spend some time chatting and getting to know these incredible people who traveled halfway around the world to share their experiences with us. Cast Members really are what makes Walt Disney World so special. I encourage you to schedule a day (or more!) 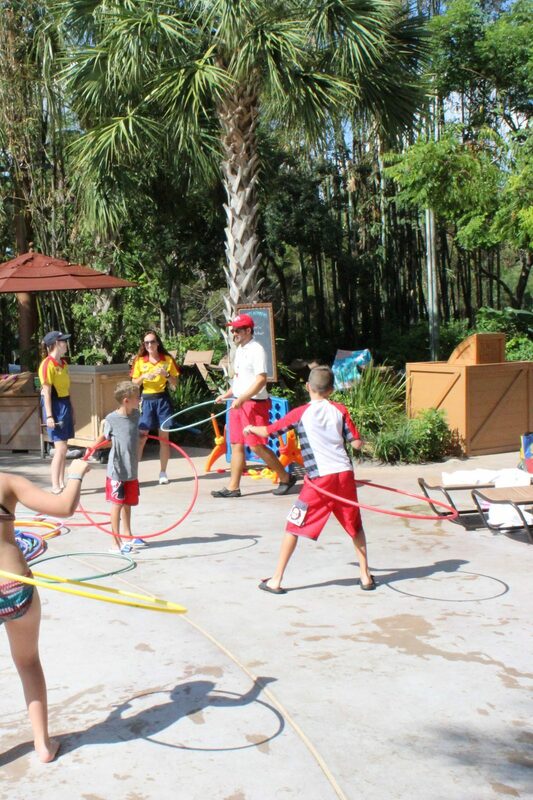 to experience the resort activities at your resort during your next stay at Walt Disney World. 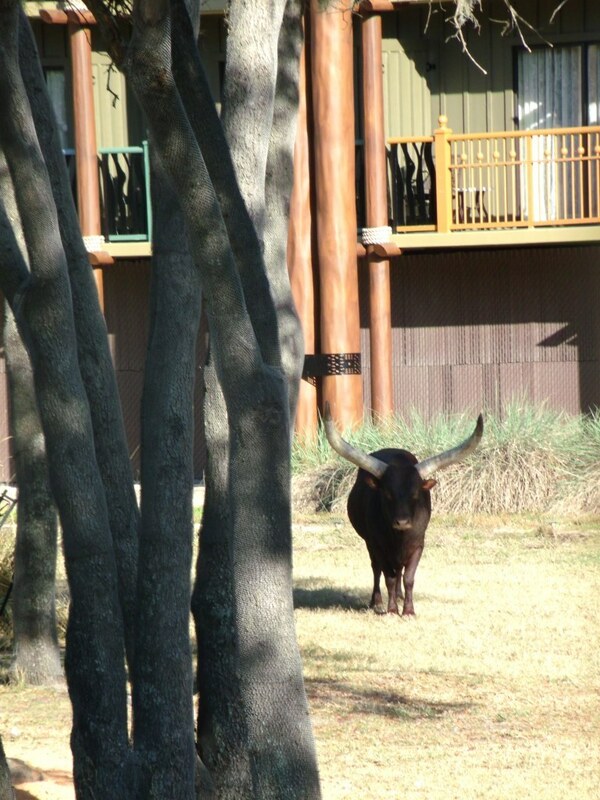 Do you agree that Animal Kingdom Lodge offers the best activities of any resort? Or are there better options elsewhere? Leave a comment below and let me know what you think! How Buying DVC Resale Can Save You Thousands at Disney World! I read a lot of blog posts trying to decide where to stay each time we visit Disney, so I’ve read quite a few on the Animal Kingdom Lodge. But I have to say that yours was the most informative one I’ve read yet. All the others talk about the rooms, dining, and pool, but yours went into great detail about the activities they offer. That was greatly appreciated. I’d been hesitant to stay there because of the distance to all of the parks, but this post convinced me that the Animal Kingdom Lodge is where we need to go next year. Thanks! Thank you so much, Peg! AKL is such a special place for me and my whole family. It is really hard to leave the resort because there is so much to do there. We usually only go to the theme parks one day during a five-day stay and are content with hanging around the resort during the day and going to another resort for dinner. I hope you have the best stay there and please let me know if you have any questions! Thank you so much for this article. I appreciate you mentioning that the activities were open to any WDW guest. Were there any activities you can recall that they required you to be a guest of AK Lodge ? I am staying at a value resort but would love to participate in some of these activities. Hi DeAnn! They did not check our MagicBands for any activity. They are open to guests staying at any Disney resort! Plus they have a new kids’ activity center open during the pool renovation that has even more fun (low cost) crafts and activities. Open to anyone. Do you know where and when they release the schedule for Fort Wilderness? Yes, you would love the tour! We save on tickets and take advantage of all there is to do at the resorts. It’s pretty amazing. They offer a tour over at Kidani Village, and I know they do a tour at Wilderness Lodge as well. 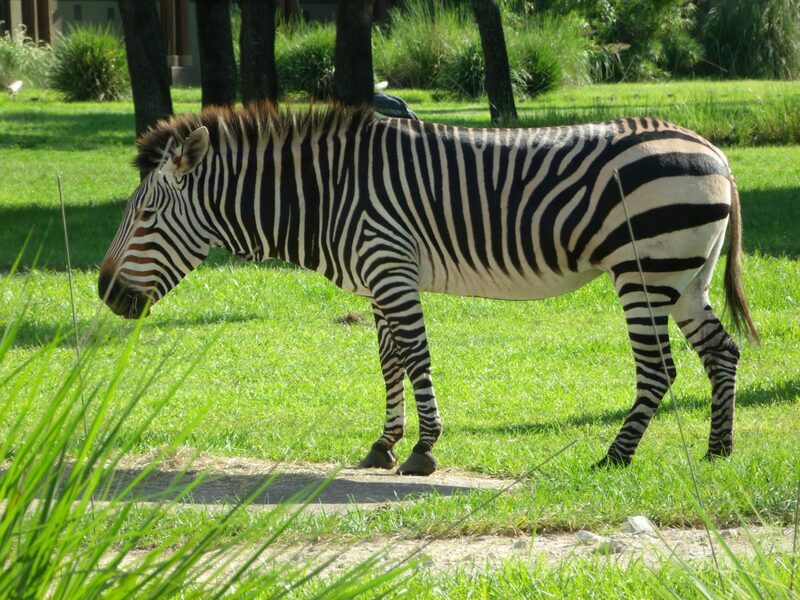 Plus there’s so much at Fort Wilderness… so much Disney, so little time!